A rally in Rocky Ripple was held on Saturday, Aug. 18, to protest current floodwall plans proposed by the Army Corps of Engineers. Around 200 people participated. 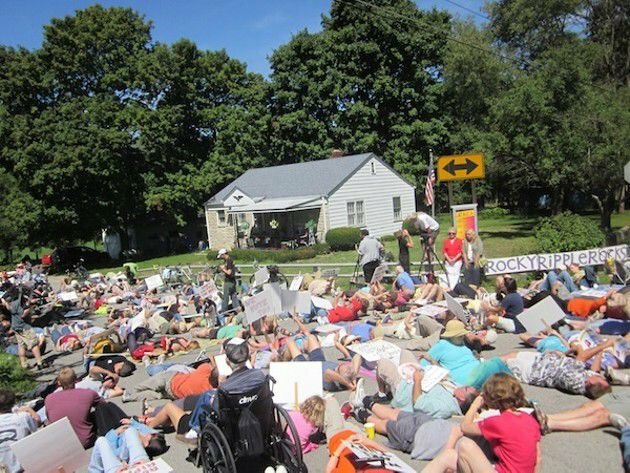 Along the 53rd St. bridge, nearly 200 residents laid down in the street to simulate the potential perils of Rocky Ripple being marooned in a flood. Rocky Ripple community members prepare for their march to the 53rd St. bridge to demonstrate dissatisfaction with current floodwall options. 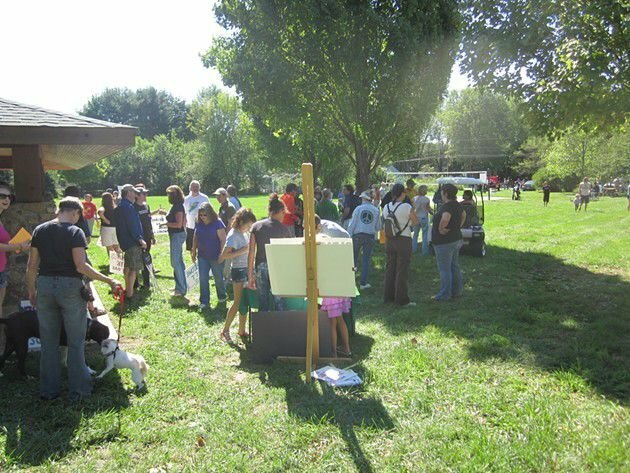 Moving east on 53rd St.
Rocky Ripple kids get involved in community action. Rocky Ripple's town council members are united in support of a floodwall protection plan that includes their neighborhood. From let to right: Robert Tomey, Brad Barcom and Carla Gaff-Clark. Residents and supporters simulate what neglecting Rocky Ripple could mean to neighborhood safety.